Ailsa posted a new travel theme, signs, on her blog Where’s My Backpack? I will be collecting signs as I am traveling to Newfoundland, but remembered this one from my trip to St. Petersburg, Russia in 2004. I believe the translation is: The world changes. 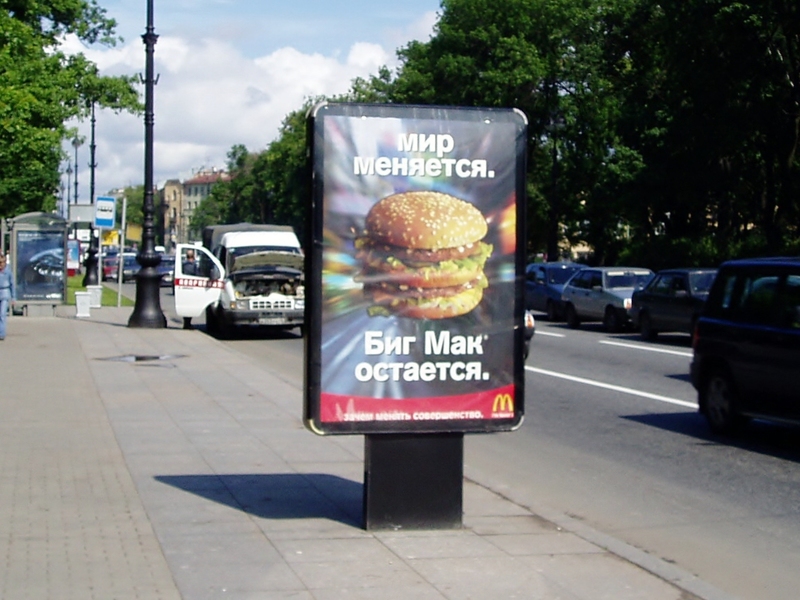 Big Mac stays the same. This was just a few years after Perestroika. They hadn’t taken over St. Petersburg, Russia at that time. 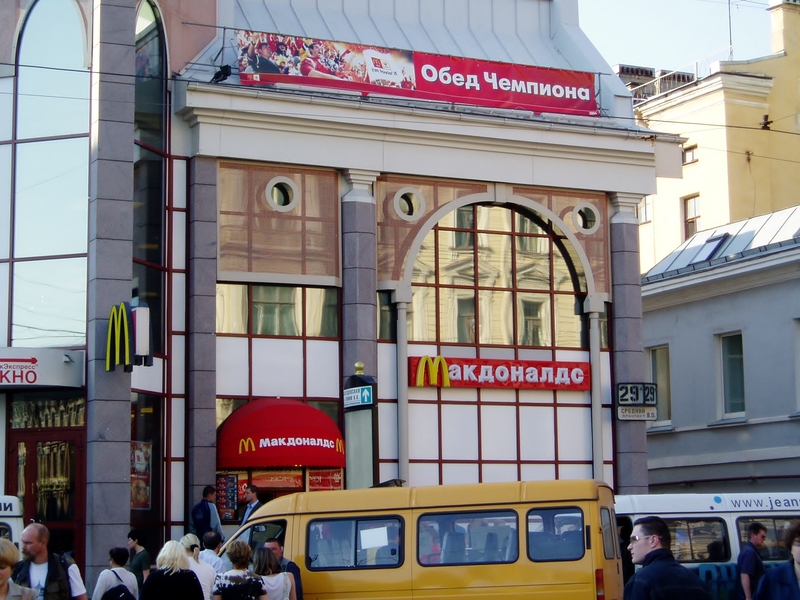 For our Russian bloggers, how popular is McDonalds in Russia now? Maybe you could do a tour and then stay a few days after. Hi! it’s Jackie from Swerving For Butterflies, bringing you an award! I have nominated you for the Sunshine Award! To find out more about the award and to accept go to my blog: http://swervingforbutterflies.com/. What fun! I remember traveling to Spain over 10 years ago and was shocked when McDonalds had beer. I wonder what type of specialties they’d have in Russia! That’s funny. I didn’t go into McDonalds because I don’t eat that type of fast food. Now I wish I would have. Welcome to Canada for your vacation, Pat! I hope you’ll like Newfoundland, and I look forward to reading about the signs you come across. Thank you for the warm welcome. My husband’s father immigrated to the US from Canada (Owen Sound) so you have a very special place in our hearts. We have been to Nova Scotia a couple of time a long time ago but have wanted to get to Newfoundland. I am really geeked about this. Great post! Have fun on your trip!